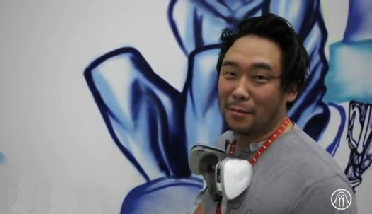 David Choe, an American muralist of Korean descent, painted in 2005 some art works to decorate Facebook offices and took his earnings in shares of the company instead of money. Now he owns a fortune. In 2005, Sean Parker, Napster's founder and Facebook's founding president, asked David Choe to paint murals in the interior of Facebook's first Silicon Valley office. At that time, Facebook was far from being such a popular social network as it is today. Instead of getting paid in money, David decided to take an equal value of shares of Facebook's stock. According to The New York Times, the shares owned by the artist are expected to be worth more than $200 million when Facebook stock trades publicly later this year.